Whether you have just started brainstorming for your new business or have an established model that seeks to expand its offerings, the notion of crowdfunding has become increasingly popular in the past few years. Designed as a way to accrue start-up capital for companies and projects, crowdfunding usually involves giving a donor something in exchange for their contribution (often after the project is complete). 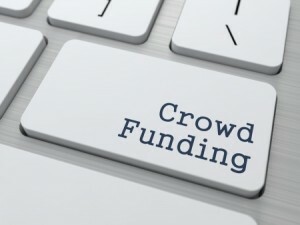 Some people use crowdfunding as a way to raise funds for a new product, while others may wish to provide a service with the allocated funds. Whatever the motivation, it can be an effective way to increase awareness of your actions and expand your horizons. Below, we will discuss the basics of crowdfunding and why it is such a great way to begin select companies and projects. The first goal in order to be effective and competitive on crowdfunding websites is to draw an audience. Keep in mind that you will be competing against thousands of other crowd-funded projects at any given time – as you are pinging URLs to your project, so are many others. What makes your project stand out from the rest? Do you have a unique idea that can survive on its own, or will you need to enhance its appeal with some aesthetic charm? However you decide to proceed, it is vital that you drive attention to the project above all else. When you make others want to click on your project and learn more, half the battle is finished. Not everyone will have the same ability to give to a great cause, company kick-start campaign or project. In knowing this, your crowd-fund campaign should be designed to give everyone an opportunity to get in on the action. Most crowdfunding revolves around lots of smaller donations, with a few larger donations as well. The nature of your project will determine the rewards or guarantees made to each type of contributor, but it is usually simple to provide some form of added value for those who contribute five, ten or twenty dollars. People want to get to know you before they fork over any money – video is an excellent way to introduce yourself, your company and your project. You can also increase the reach of your project through video, as more people tend to share videos than simple text. The video in question should be rather short (one to three minutes) and should cover the basic tenets of your project, why such a project or company is needed and how it will revolutionize the reader’s life. You will need to be pinging URLs via social media and any other websites that are relevant to your project’s topic. Why is this? Simply put, it takes a lot of attention in order to generate enough revenue for most crowd-funded projects to be successful. The more sharing and social signals that can be generated, the more dollars you can expect to see. This cannot be overstated: social networking is a key aspect of crowdfunding.